'All paths lead to God'...or do they? 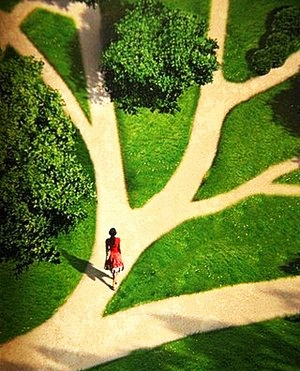 ‘All paths lead to God’…or do they? As one can see, all religions may be wrong, but they cannot all be right. Every religion differs vastly on ‘matters of creation, sin, heaven, hell, God, and salvation,’ and as such, the law of non-contradiction rules out the ‘truth’ claims that ‘all paths lead to God’ and that ‘all religions are the same,’ simply because each religion offers conflicting, and exclusive truth-claims, as to what the path is. Even though pluralistic interpretations of religion…possess a strong intuitive appeal, nevertheless, they possess two deficiencies which, in the final analysis, render them unacceptable. First, they are unable adequately to account for the conflicting truth-claims among various religions. Second, in order to avoid the latter problem, they radically reinterpret the beliefs of specific traditions in ways that fundamentally distort these beliefs. The Achilles’ heel of the assumption that all paths lead to the same destination is the problem of conflicting truth-claims. Every religious tradition makes truth-claims and some of these truth-claims contradict the truth-claims of other religious traditions. The Quran/Islam states that Jesus was not crucified. The eyewitness Gospel narratives state that he was—both cannot be right. Judaism refutes the claim that Jesus Christ is the Messiah.’ Christians believe Jesus Christ to be the Messiah and Son of God—the fulfillment of the Messianic prophecies given in the Old Testament—someone is wrong. The Buddhist ultimate destiny is that of Nirvana, achieved after no less than 547 reincarnations.’ The Christian ultimate destiny is one life, one death, and an eternity of enjoying God. One view does seem to exclude the other, does it not? Atheists/Humanists do not believe in a Creator—only matter + time + chance. Christians believe that, “in the beginning, God created the heavens and the earth…in the beginning was the Word, and the Word was with God, and the Word was God. He was in the beginning with God. All things were made through him, and without him was not any thing made that was made. (Gen. 1:1; John 1:3 ESV) These two worldviews cannot both be right. Hindus believe in a plurality of impersonal gods. Christ-followers believe “there is only one God” (1 Cor. 8:4). Someone(s) is wrong. It would seem that the ‘all paths lead to God’ ‘truth-claim’ has failed the truth test miserably, as well as ‘all religions are relatively the same.’ At best, all religions are superficially the same, although, even that is a stretch, but they are absolutely fundamentally different. Let’s continue on with the truth testing. (1) The first area of contradiction regards the nature of the ultimate reality (such as God). One discovers there is a vast chasm between monotheistic religions (such as Judaism, Christianity and Islam), and pantheistic religions (such as Hinduism, Buddhism). Muslims claim that there is only one God, Allah, who created the universe from nothing. Some Hindus, on the other hand, believe not in a personal creator but in an impersonal absolute reality (Brahman) which permeates all things. Other Hindus believe that there are millions of deities (such as Brahma, Vishnu, Shiva, and Krishna) which are manifestations of Brahman. (2) A second area of contradiction relates to the fate of individuals at death. According to Islam, each person will die once and then face judgment by Allah. Depending on Allah’s judgment, a person will spend eternity in heaven or hell. In contrast, many Hindus assert that people will live (and have already lived) many lives. Moreover, Hindus believe that the conditions of one’s past and future existence are determined by the cosmic laws of karma. Following death each of us is reincarnated into a different form (human, animal, etc.). (3) Each religious tradition also identifies a universal problem that afflicts humanity. This brings us to a third area of disagreement. For example, Hindus claim that the universal problem facing humanity is samsara. Samsara is an endless cycle of birth, death and rebirth (reincarnation) in which every person is trapped. Only through knowledge of one’s relationship to Brahman and religious devotion can this cycle be broken and moksha (release) experienced. Christianity, on the other hand, maintains that the universal problem facing every person is separation from God. According to Christianity, each person has rebelled against God by violating his commands (what the Bible calls “sin”). Christianity insists that there is no human solution to this problem. Only through a relationship with Jesus Christ can this problem of separation from God be overcome. Christians believe that Jesus Christ paid an individual’s sin-penalty through his death on the cross in order to restore him or her into relationship with God. These conflicting claims about the nature of the Ultimate, the fate of individuals at death, as well as the universal problem facing humanity are only a few of the conflicting assertions made by different religious traditions. These conflicts render implausible the assumption that all paths lead to the same destination. Finally, let’s take a close look at the popular illustration of “all religious paths lead to the same destination, that is, to the top of the mountain.” This illustration posits that from the bottom of the mountain, we can know where all the paths ultimately lead, but can we? If we analyze this illustration closely, we must first ask the question: from the bottom of the mountain, how would we know which paths led to the top and which were dead ends? From the base of the mountain looking up, we would not be able to know which paths would take us to the top. Only someone with a top down view would be able to know where each path would lead, in other words, someone who is above the mountain looking down. But who is the only one with this view? That’s right—it would have to be God. So when someone states that ‘all paths lead to the top of the mountain,’ or to the ultimate goal of God, who are they claiming to be? Well, God of course. Now that is quite a claim, one that only one person made and validated in the history of mankind, the God-man, Jesus Christ. That being the case, wouldn’t it make sense to first investigate the life, death and resurrection of the Man who not only claimed, but backed up those claims to the be One who has the view from above the mountain looking down? 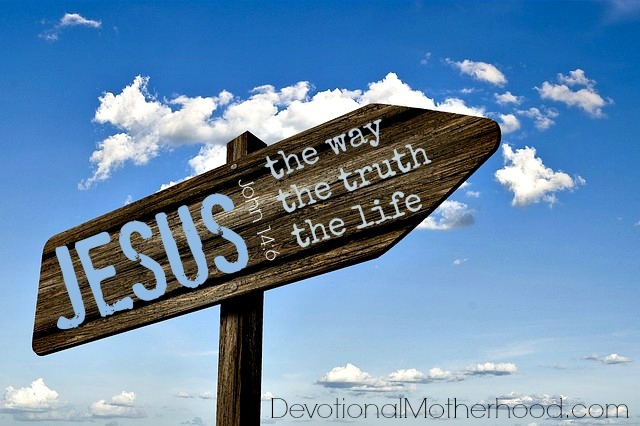 Given Jesus is a common feature of the major religions of the world, it might be important for us to learn more about the man whom everyone feels the need to describe. While the world’s religions account for Jesus tangentially, only one faith system is established on the authentic, attested eyewitness accounts of Jesus’ life, teaching and ministry. If one was inclined to begin a spiritual quest for truth, it would be wise to start with the faith system best describing the man all other faith systems find themselves compelled to explain. Christianity is founded on the reliable record of the man-God we know as Jesus and ought to be the first stop in any seeker’s journey of faith. Are there many paths to God? Do all paths lead to God? Are all religions equally true? How does Christianity compare to and answer the truth claims of other religious worldviews.